View cart “The Moon and the Snake” has been added to your cart. 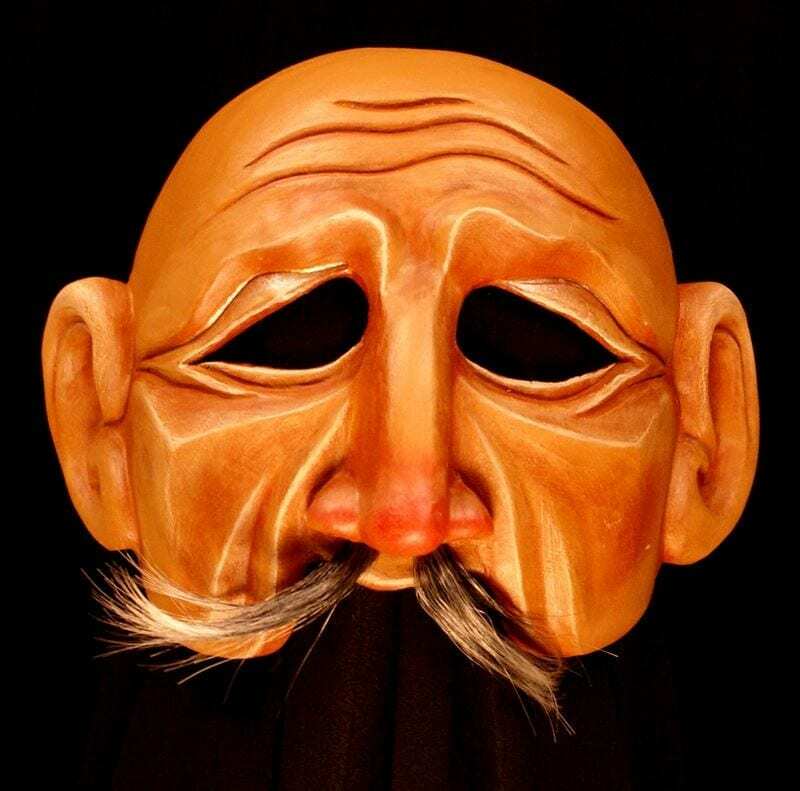 The Grandfather Mask was created for Imagination Stage in 2009. This dynamic character half mask is that of a wise, caring kind and compassionate old man. This character might even through its form be considered to have magical powers to solve the problems the young through the sharing of its wisdom. This theatre mask was created in collaboration with David Leong the director. The custom made mask was arrived at using the sketches from the costumers, character descriptions and design suggestions from mask maker Jonathan Becker. This mask is fine example of masks in contemporary American Drama. Masks have been part of performance, theatre and ritual since man arrived on earth. They are just now starting to become a presence in American traditions of performance. Masks are stories and their absence up to this point in American culture may be a result of the fact that as a nation we don’t really share many stories in common.